Here is the recipe for the remoulade taken from Elise below. As for the salmon, I seared it skin side down on the pan for 2-3 minutes until crispy. Then I flipped the salmon and put it in the oven for 11-12 minutes at 400F. Cooked perfect flaky and a little under. 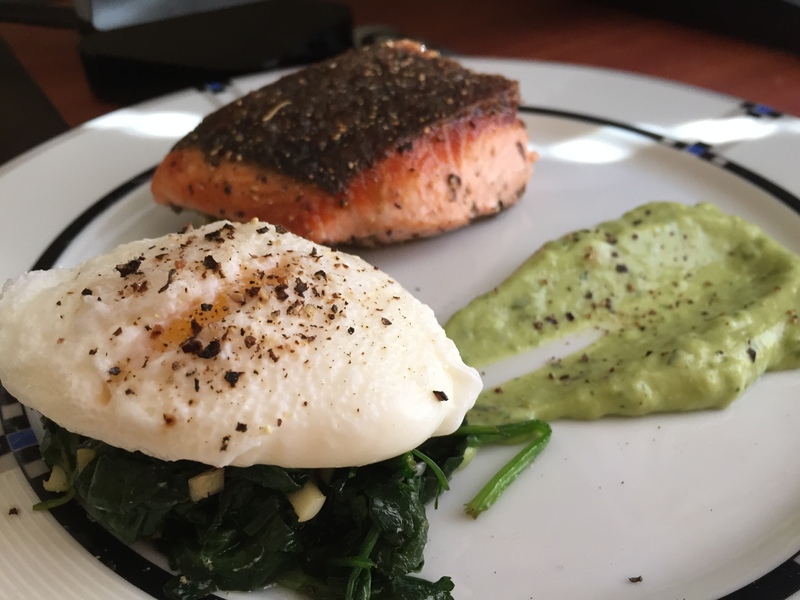 On the side, I sautéed some garlic and spinach until the leaves wilted (salt and pepper to taste) and poached an egg. 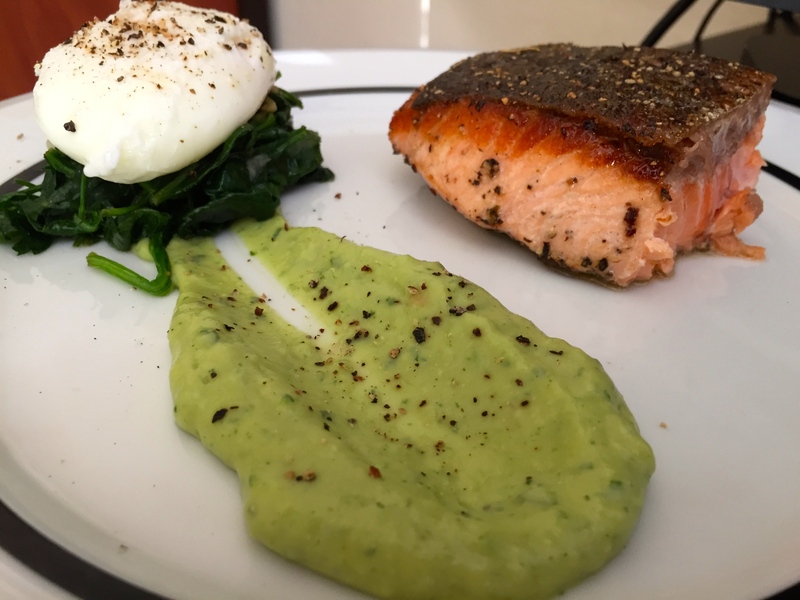 Why poached egg? Umm why not poached egg? Hope you enjoy this as much as we did. Thanks Elise for a great sauce recipe! 1 Add the avocado and lemon/lime juice and blend until smooth. Continue by adding olive oil and pulsing until desired consistency. Add the shallots, parsley, dijon mustard and blend until uniform. Pause and taste. Now add the salt and pepper and get it to perfection.